As much as I love sweet desserts and chocolates, there’s always one thing that’ll get my attention despite its plain facade. The English are fond of it and so am I. What’s the surprise eh? I do love all things English – that I’ll admit. I do love my English Breakfast Tea and Scones! 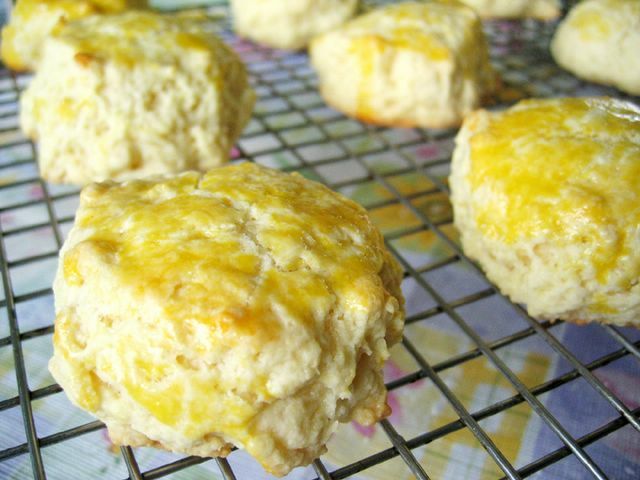 I’m not lying to you… The thought of freshly baked scones, hot from the oven makes me want to run to the nearest bakery. But alas, no bakery near my place sells fresh scones. And so, I might as well get my fingers workin’ and make some myself eh? Well that’s what I did. I don’t know why I took so long to bake these beauties. But well, having found a rather easy recipe, I do have a feeling I’ll be baking these quite often, for storage, in case I might suddenly crave for them again. Heat oven to 400 degrees F. Line baking pan with a silpat (French nonstick baking mat) or parchment paper. Sift flour and baking powder into a medium bowl. 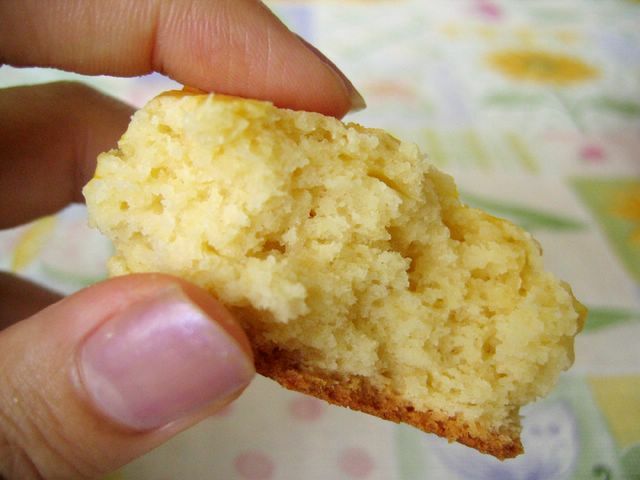 Rub butter and sugar into flour to form a fine crumble. On a generously floured surface, roll out dough to 3/4-inch thickness. Stamp out 2 1/2-inch rounds with a plain pastry cutter. Transfer to prepared pan and brush tops with egg yolk. Allow to stand for 15 minutes. Bake until risen and lightly golden on top, 12 to 15 minutes. Remove to a rack to cool. Serve warm with clotted cream and strawberry jam. Perfect! just as i wanted to search for scone’s recipe, thanx so much. Hugs! *remember me? i blogged bout nyonya dumplings some 6 months ago. sorry can i know what is scant 2/3 cup milk? kampungkai: heya! yep i remember you 🙂 do try this recipe and hope you like it! Precious Moments: hmmm i don’t know why they used the word scant, but I think it means, roughly 2/3 cup milk… i suppose they are asking to add it slowly instead of pouring it at once; in case your dough is too watery or dry? gabrielle: I made about 10 to 12 in total. I think. haha hope i remembered correctly! Use the email address you registered with Flickr here to see your Flickr Buddy Icon with your comment. Copyright © 2005-2018 Cheryl Chia. All rights reserved.